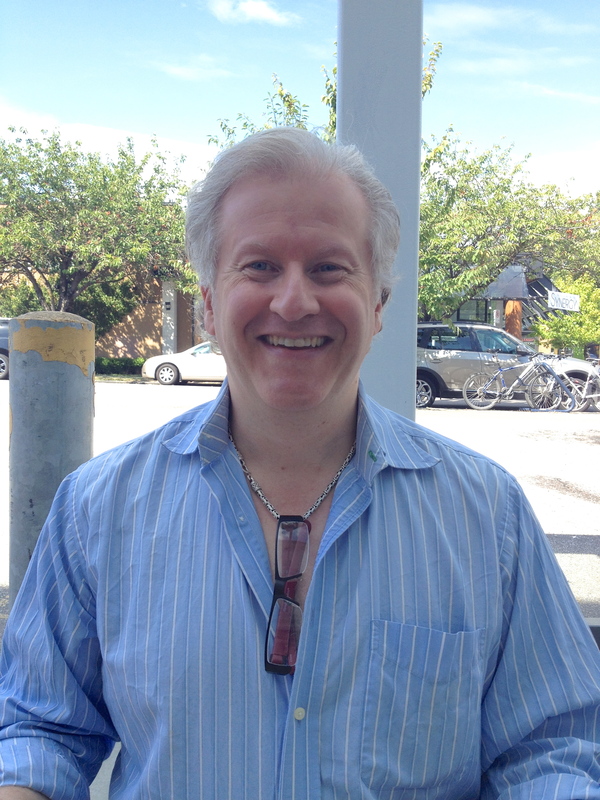 This morning I met for coffee with Craig — a wonderful human, musician, artist, and entrepreneur extraordinaire. His story is both fascinating and inspiring, and my fingers are racing to write about it and share it with you. Craig is the founder and creative genius behind Under the Piano — “Sound Spa for mind, body, and soul.” It’s literally what it sounds like: his clients lay under his piano while he plays improvised, exquisite melodies. Craig has been offering this as a unique, relaxing, and meditative service for the last ~5 years. He still struggles to call it a business. It’s more of an artistic practice for him, and he loves it. So where did the idea come from? Well, one day, when he was about eight years old, his mom was dancing her fingers along the piano keys like she usually did. But this time, Craig decided to crawl underneath the piano while she played. It was kind of like a fort. He remembers having really enjoyed doing this, and didn’t really think twice about it. He was just playing and exploring like kids do. Craig himself has been playing the piano since he was just five or six years old. Practicing piano was always more like playing the piano for Craig — he did the usual regimental practice but he also had a lot of space to explore, compose, and have fun with music. His parents were both school teachers and so they knew from their experiences to allow Craig the space and freedom to explore, because that’s where the best kind of learning originates. He studied music (surprise, surprise) at UBC and then went on to acquire his ARCT diploma (Associate of the Royal Conservatory Teacher’s Diploma). But after it all, he found himself unsure of what to do with his musical skills. So he decided to work with his dad’s business centred around printing and graphic design. He got to work on the creative side while his dad focused on the more technical stuff. When his dad retired, Craig took on the lead role, working not just on the creative side but the logistical side as well. But it wasn’t enriching. It wasn’t fulfilling. It wasn’t him. Then, one day, when Craig was meeting with a coach, he explained his frustrations and completely broke down. He didn’t realize until that moment that he had been bottling up these feelings inside of him — feelings of loss of love: music. Music had been so deeply absent from his life and it had been making him miserable without him even realizing it. Then he had some friends over and would get them to lie under the piano. One of his friends enjoyed the process so much that she suggested Craig start a business. And he did. Craig discovered his most creative capacities when he was surrounded by people who nurtured his playfulness, his desire to explore, his freedom in creativity. His parents weren’t very forceful in his piano teachings — they gave him space, and something truly beautiful emerged. And the piano store owner welcomed play, eventually leading to something beautiful, too. “We need to let ourselves play and create more”, Craig said. “Our problem”, he shared, “is that we know too much. Or we at least think that we do. We don’t wonder enough. And in doing so, we forget that anything is possible.” He explained that our brains, out of a survival-based, limbic tendency, strive to predict the future. We make up stories, telling ourselves what is and isn’t possible, simply out of a noble desire to survive. But this process, he explained, can be crippling. I got shivers just thinking about this. We’re wired to notice patterns and make predictions, which inform big decisions in our lives every day, sometimes without us even realizing it. For example, when we assume somebody might hurt us, reject us, or deceive us, because someone in the past in a similar situation did so, then the assumption is natural and valid. When we think we’ll be bad at a certain task, like math or public speaking for example, our predictions may be well-rooted but, notably, not permanent. There’s a fine line between naiveté and productive vulnerability. Our assumptions and predictions, valid as they may be, do not have to be upheld. We can shatter them as our hearts desire. In his free time, he loves cooking. He’s experimenting with a diet that focuses on getting the most health-infused nutrients per calorie as possible (think natural, nut-ground oils instead of olive oil, and banana cocoa ice cream instead of Ben and Jerry’s). He’s been having a lot of fun with it. Oh, and you can guess where we met and exchanged contact information initially: Creative Mornings. And, every Wednesday evening this summer, he performs in a concert series called Quiet Hearts. I’m definitely going to go check it out. His piece of music offers a wonderful soundtrack for reading through your blog posts, haha!